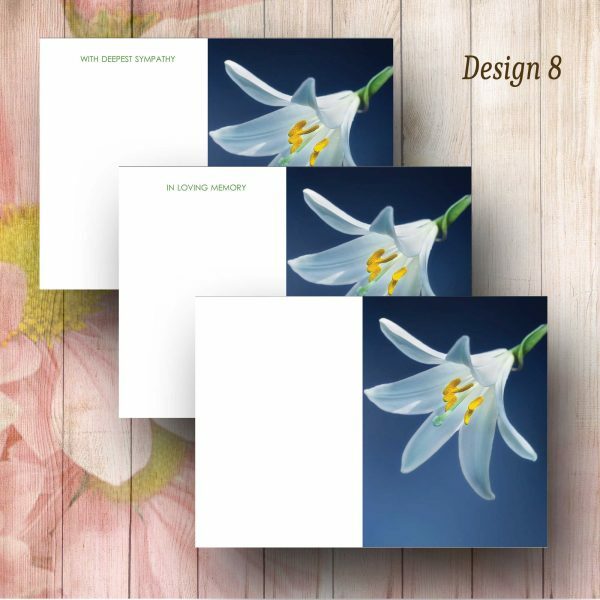 Delicate Lily Flower on a Blue Background Funeral Florist Message Card. 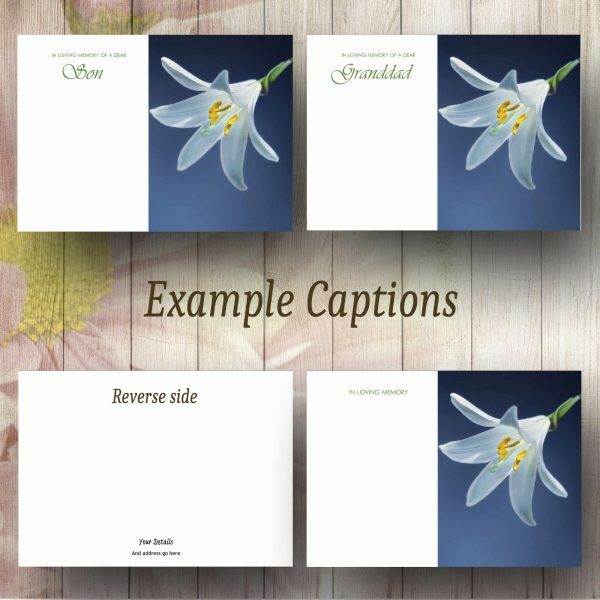 Many captions to choose from and can have your florists details on reverse. We strive towards an excellent service for all our clients and aim to accommodate wherever possible your requirements. 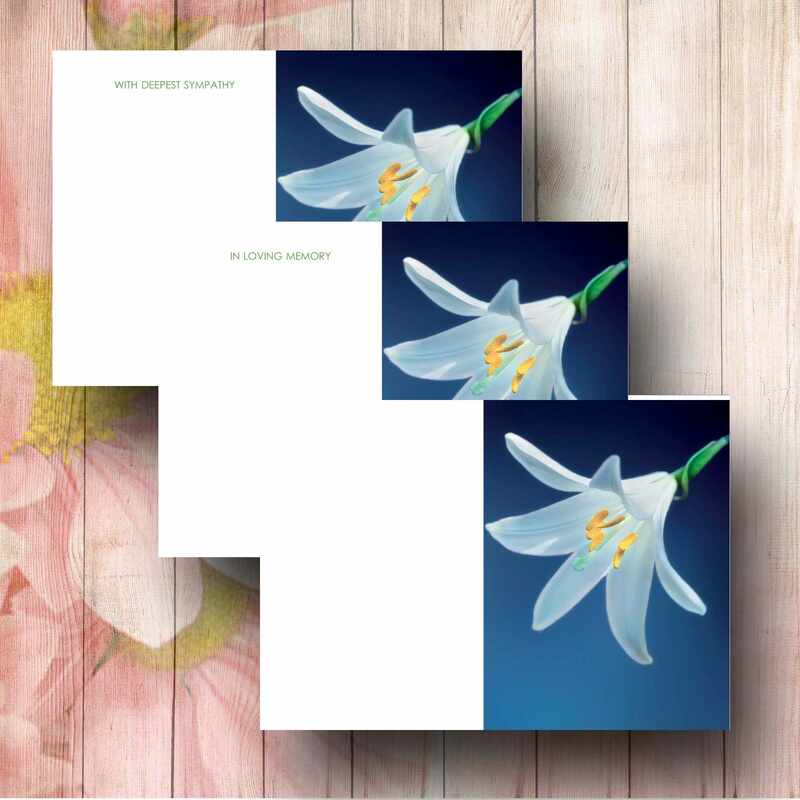 If you need your personalised funeral florist message cards immediately then please contact us before you order. 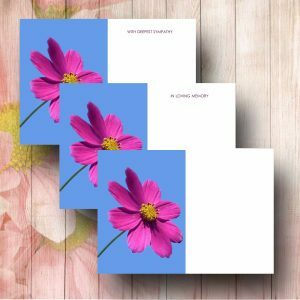 These are low resolution photographs and the colours may look slightly different on your computer according to your screen settings. Should you have any queries please do not hesitate to contact us quoting FC08.